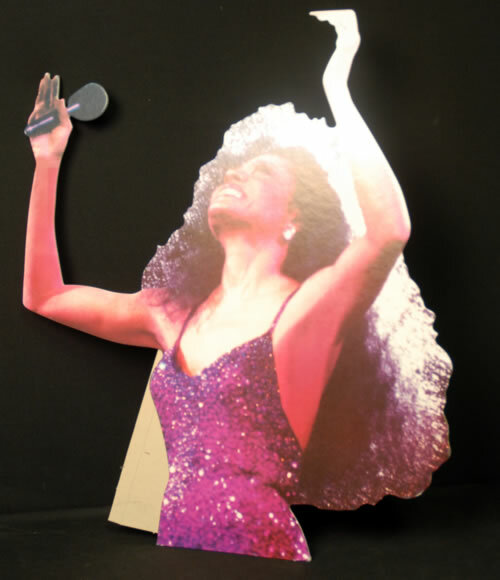 DIANA ROSS Motown's Greatest Hits (Rare and original 1989 promotional only instore display. Measuring 21" high by 24" at its widest point, this display has survived remarkably well with both Diana's arms intact and undamaged. Complete with the fold out stand to the back, this piece of genuine shop memorabilia would have been placed near the checkouts and would never have been commercially available. Even suitable for framing! ).